Stevie came from the same place as Bella the horse. She was living in a very small, dark and dirty space with no water. Marleen decided she must come to live at the Paraiso too. At the moment she lives in an area within stable zero but near to the door so she can get plenty of light and see things going on around her. We hope that we will be able to build a new outdoor area for her and to find another small pig as a friend to keep her company. 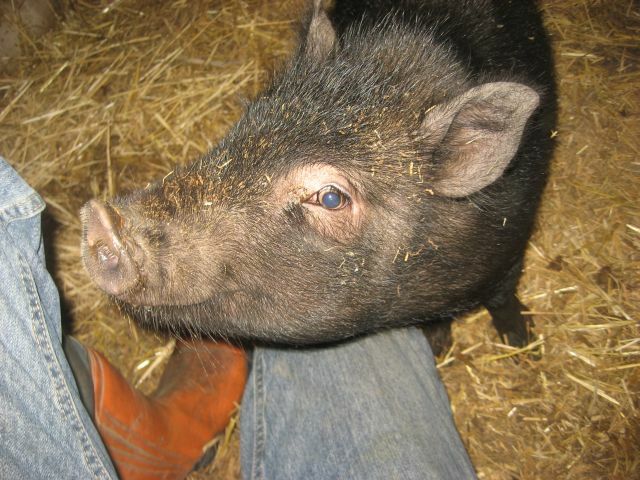 Stevie is, as you can see, very cute, inquisitive and friendly; she is also very vocal!